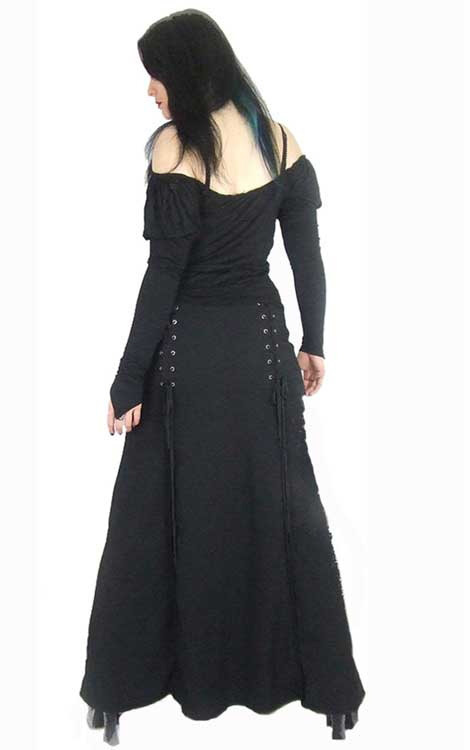 Black stretch twill long skirt with adjuster cords to change the look and length of the skirt. Imported from the UK. This skirt has a very figure friendly A line and comes in many sizes.